This listing is for a completely customized order tailor made just for you! This item will be sent to you as a DIGITAL file. NOTHING WILL WILL PHYSICALLY SHIPPED TO YOU! 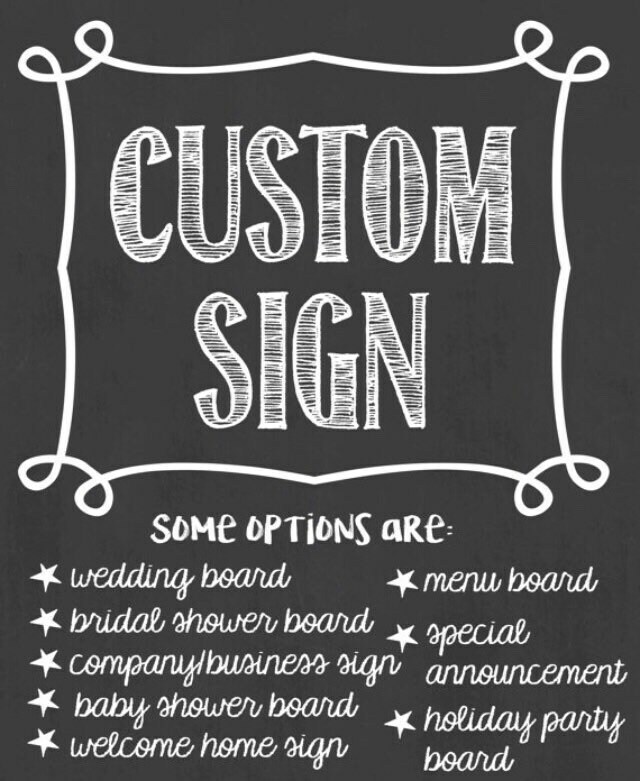 HOW TO PURCHASE - Feel free to reach out to be prior to purchasing or purchase here to create your original, custom sign. This can be a display sign, a drink sign, a welcome sign or really any creation you would like! If you don't see the size you're looking for displayed below, we can adjust accordingly.